Friendly Friday on Tour.. Bowling - H.A.D. 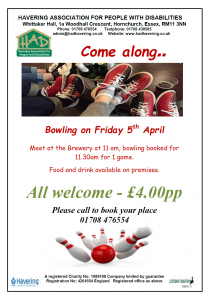 We will be meeting at Romford Bowling at 11am, game to start at 11.30am. Food and drink available on the premises. 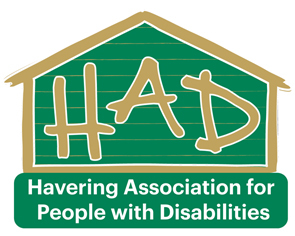 THERE WILL BE NO FRIENDLY FRIDAY ON AT H.A.D AND THE OFFICE WILL BE CLOSED.